Rangers new Puma away kit was launched today in Scotland. 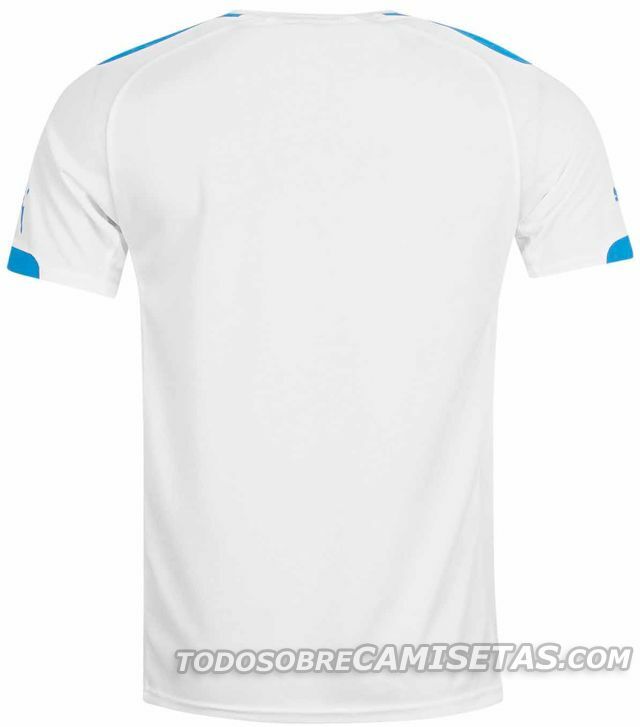 It features the round-collar template that we’ve seen in various teams in Puma’s books this year, this time applying vivid red and blue on white base. 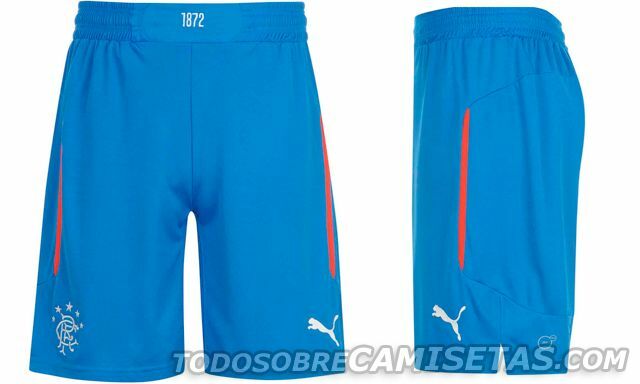 Shorts will be mainly blue with some red and white details, including the club’s establishing year on the belt zone. Finally, the socks will come in white with red lines on the sides and the club’s initials in blue. Now the match uniforms are complete, along with the blue home kit and the third red one. What do you think about this jersey? Is it a good companion for the other two?